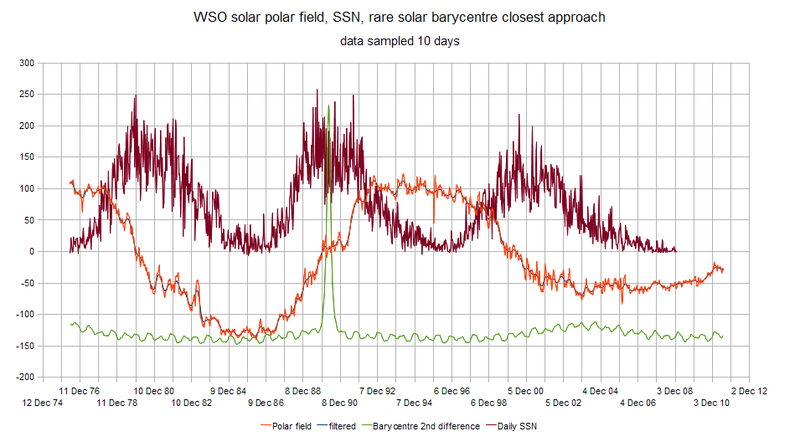 The plot here is not directly related to the subject of this article which is changed from it’s original preparation during 2011 (one of many unpublished), retained because it marks a solar barycentre closest approach with perhaps slightly changed flare activity. This happens to be coherent with the “flat” which seems to occur in solar polar magnetic data at zero crossing, at about the time of magnetic field reversal. Mid 2013 we might be seeing another “flat” in the polar field data. Whether this is real or an artefact of the difficult to do measurement via proxy I know not. I wrote in 2011:- I am wondering whether the magnetic cycle is resynchronised by events co-incident with the barycentre, and hence free running cycle lengths do not endure and get bent to fit. As an addition to this Vukevic has suggested in this place the polar magnetic field is a decaying wave, where he has included unpublished earlier magnetic data. The following paper suggests a decaying field would not be new. Can any of you confirm the ’55…’82 statement? There’s a lot of conflicting info about cycle length during Maunder. Miyahara says 28, but Finnish authors have argued 11. The paper to which Tim links says 20. I find these disagreements quite informative. I’ll dig out some links tomorrow. I’m convinced beyond all shadow of a doubt that something fundamentally important is being missed here. It could be something very simple. The zero crossing does not create the possible monopolar condition, but happens near it (usually 20 years away). This once again is the same mistake that Landscheidt made. The disordered orbit resulting from J/N/U together with S opposing can cause the solar slowdown and possible monopolar condition. 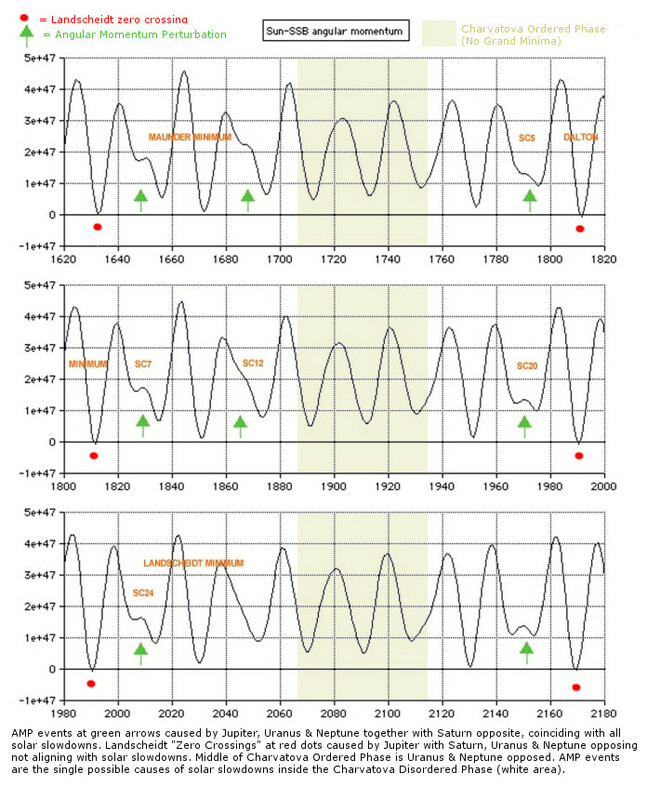 1970 is one example where the polar state was close to the neutral line and also of a smaller cycle (SC20), but the disordered orbit or angular momentum disturbance was weak this time and probably did not cause a full monopolar condition. 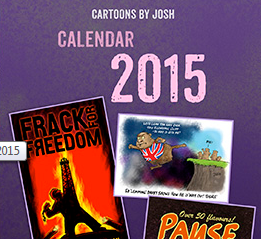 This is now being fully recognized by science…more to come soon. How would this relate to the “1500” value of mag field strength(?) I have read about, below which you get no sunspots at all? about a year after the 2002’s second SSN peak, didn’t think it was particularly relevant, or to be honest I didn’t think it may come true, so I left the equation but didn’t show or mention extrapolation beyond the available data in 2003. At that time everyone I knew of in the solar science (Hathaway, Dicpati, Solanki, Lockwood, etc, discovered Svalgaard 3-4 years later) where predicting strong or even strongest SC24, no mention of SC25, 26 etc. Few years later found that Svalgaard was predicting for SC24 peak of 80, I got a boost to my confidence, but both Svalgaard and Hathaway dismissed my calculations. I got some encouragement from Dr. Joan Feynman (sister of Richard and a solar scientist from JPL) and Dr. Eric Priest winner of 2002 Hale prize (awarded for advancement of solar science, Svalgaard is not on the list, as yet). Dr. Priest also wrote to Hathaway on my behalf, but to no avail. If solar magnetic polarity does indeed becomes ‘fuzzy’ for prolong period (1920-1940, about 2 cycles) , I might be vindicated, but most likely forever ignored since unknown nobodies are not welcome by the academia. From the critic in the Sunday Telegraph ‘ Our sun appears to be going into overdrive at the moment. It is more active than at any time in the last decade.’ Sounds like the Beeb looking to hype some new threat without having a reality check first. Hah! Beat me to it. Stand by for more BBC propaganda. Chin up mate! I’ve seen your equation before and it is actually very clever, it is interesting how it correlates with polar field strength. How does it work? have you a description somewhere? I don’t believe anyone is unwelcome in science, amateurs or people who study science as a lifelong interest rather than as a profession are as important to all areas of science. but it is a shame that in recent years some areas of science the academics have become arrogant self centered and unappreciative of the hard work amateurs do. It ‘could be’ that the magnetic activity will have a ‘screw effect’ where it will begin to wind from the southern hemisphere to the northern hemisphere, I brought this idea up a few times and I was told that it was impossible, but I’ve seen magnetic behavior like this in plasma experiments, personally I think it is very likely we will see a new kind of magnetic oscillation take shape that will reduce the visibility or possibly the development of sunspots. No one will know for sure until what ever happened on the sun during the Maunder Minimum gets underway again and we have solid data. Not sure if pole reversal is that important to solar activity, rather it is the size of the total mean that indicates solar activity level. 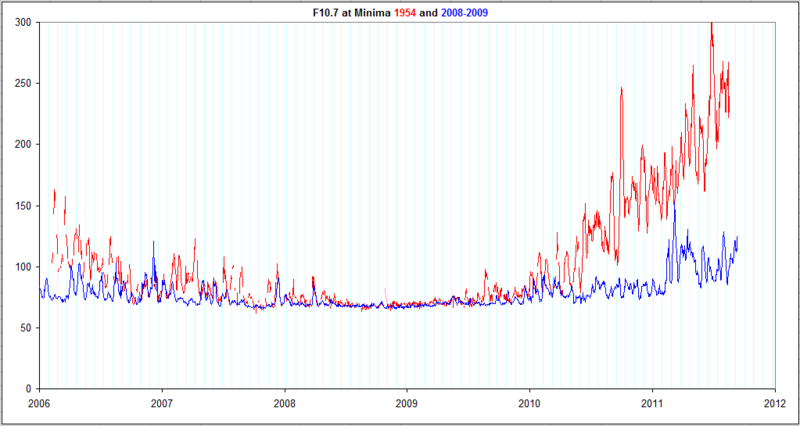 F10.7 flux is another good proxy for solar activity, and like the weak magnetic field, is worryingly low. The more up to date version of F10.7 shows that we have have crested the top and are sliding down the other side. I know weather isn’t climate, but June so far is a washout, endless thick clouds and I even put my central heating on again the other night. How does equation work? That is a big unknown, but looking at it numerically it looks Jupiter factor is primary with Saturn’s added (roughly in ratio J:S = 3:1). I am convinced it has to be electromagnetic. The more up to date version of F10.7 shows that we have crested the top and are sliding down the other side. Recently I have started to look at the proton flux (Solar Proton Events – SPEs) as a measure of solar activity, only available from the satellite data (not certain about accuracy for the first 10 years of data). The SPEs also suggest that SC 24 max is over. p.s watching BBC2, nothing new in the first 50 min. Well, well, well! My apologies to the BBC. They warn the sun might be moving to grand minima status and last time this happened the Thames froze over! Greenies are going to go spare! Vuc, I’ve been looking at your graph and equation for about 8 years now, and I think you’re doing much better than, for instance, climate models…. !